How is it possible that 2017 went by so quickly? 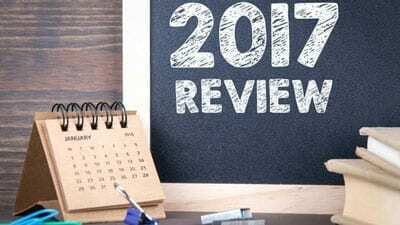 Before we embark on our tasks for the new year, we want to review what occurred over the past 12 months as 2017 was an incredibly busy time period in the world of personal injury law. While we’ve had successes, many of our litigations will be continuing into the new year so expect more updates throughout 2018. 1. Hyland’s Teething Tablets: The Food and Drug Administration is now advising parents to not use Hyland’s homeopathic teething products containing belladonna. This announcement comes after the FDA issued a warning in September of 2016 advising against usage and after the homeopathic teething tablets and gels had been linked to the deaths of 10 children and 400 adverse reports. 2. Diacetyl in Food Products Poses Risk to Factory Workers: Foods containing diacetyl can be found in a variety of products but is most commonly associated with popcorn because of the substance’s connection to “popcorn-lung” — Bronchiolitis obliterans. While diacetyl can be found naturally in some foods, it is most common in processed food products that contain flavoring additives. 4. Drowning Risk Heightened During Summer Months: Drowning is one of the top five causes of death for children aged 1-14 years and in the U.S., it is the second leading cause of death in children. The loss of a child is the most devastating experience a parent can face and missing the child never goes away. While no amount of compensation can replace the loss of a child or lessen a parent’s grief, our office is dedicated to trying to help grieving families receive some level of justice and closure. 5. $300M Benicar Settlement Reached: Daiichi Sankyo, the Japanese pharmaceutical manufacturer of Benicar, has agreed to a $300 million settlement for failing to warn consumers that the blood pressure medication could cause gastrointestinal illness. 6. New Office Begins Construction and Four Additional Partners Announced: “We have reached the point where we were outgrowing our previous office, and with the announcement of adding four new partners to the firm, we felt it was time to build our own space,” Tor Hoerman, owner of TorHoerman Law said. “It’s an exciting time for our firm because the new office and partnerships will give us the opportunity to better serve the needs of our clients. 7. $57M Verdict Awarded in Pelvic Mesh Case: A Philadelphia jury awarded $57.1 million to a woman who claimed Johnson & Johnson’s pelvic mesh product had caused her severe and life-altering injuries. 8. Thanksgiving Turkey Giveaway was a Success: We are proud to announce that the annual TorHoerman Law Thanksgiving Turkey Giveaway was a huge success. With the help our wonderful staff, our generous sponsors, community members, the Salvation Army, and the Alton Police & Fire Departments, we were able to supply hundreds of needy families in the Alton Community with Thanksgiving turkeys. 9. Xarelto Loss – $29M Awarded to Plaintiff: In a groundbreaking decision, a Philadelphia County Court of Common Pleas jury awarded $29 million in damages against Xarelto manufacturers Johnson & Johnson and Bayer AG. The jury found the manufacturers at fault for providing inadequate warnings about the risks of bleeding associated with the blood thinner medication. This is the first Xarelto loss. 10. U.S. Supreme Court Refused to Restrict Personal Jurisdiction in Landmark Paxil Case: The U.S. Supreme Court allowed to stand an appellate court decision stating that a product manufacturer is subject to personal jurisdiction for product-related claims in a state where development or testing occurred, dealing a huge blow to the well-funded big pharma legal teams who may well now find themselves defending their drugs and medical devices in all fifty states. The plaintiffs were represented by TorHoerman Law. Although we’ve had many updates throughout 2017, sometimes we just write to educate and inform about important topics. Did you miss these blog posts? 1. We All Need to be Better at Ending Distracted Driving: One out of every four car accidents is caused by texting and driving, and approximately 3,000 people a year die in those accidents. Statistics show that it isn’t just teenagers that are texting and driving; adults are texting and driving as much, or more than teens. 2. Generic Drugs vs. Brand Name – What’s the Difference? : Nearly 8 of 10 prescriptions are filled with the generic form of a name-brand drug. In the case that you were to experience adverse effects from the generic drug, it would be very difficult to prove that the manufacturer is liable for these effects. Because you are not taking the brand-name version of the drug, the manufacturer of the original drug is also not liable for these adverse effects. 3. Benefits of Hiring a Personal Injury Lawyer? : While hiring an attorney may seem like more work and more costs, this is not really true. Our personal injury team is free until your case is won. Our team is always at your disposal. We are here to walk you through the process of your case and answer any questions you have along the way. 4. Starting Law School? 10 Tips: Law school isn’t a walk in the park. It’s a grueling three years that requires the utmost attention to your studies. For former law clerk, Jordan Butler, he’s made it through almost three years of intense studying. After surviving his law school journey, he’s got advice for those of you just starting out. Becoming a focus in 2017, we’ve made it a goal to highlight a different employee each month. This not only includes their important contributions to the firm but also what these amazing individuals do outside of the office. Below are the four featured, but be on the lookout for more spotlights in 2018! 1. Chelsey Logan: Chelsey is a paralegal at TorHoerman Law, but in her spare time, is a skilled wedding photographer. She not only is excellent at both of her jobs but brings so much joy to this office. Her bubbly, happy personality can brighten anyone’s day, and the pictures of her adorable dog and kitten aren’t a bad edition, either. 2. Judy Lane: Judy, an incredible woman who has been with TorHoerman Law since the first day we opened the doors. Because of Judy’s hard work and determination, she has contributed a great deal to the firm. 3. Rose Kuethe: Rose is a great example of the kind of person we all aspire to be. Read her feature here. 4. Kristie Stephens: Throughout Kristie’s nearly decade-long career with the firm, she has remained a key part of our team, playing a major part in the success of important cases like Gadolinium, helping run day-to-day operations, and overseeing the firm’s charitable activities. When she’s not spending time with her family, she is dedicating much of her time to giving back to the community that she cares so much about. As always, if you have any questions, please don’t hesitate to reach out. We’re here to help – whether that be answering a question regarding a car accident, faulty medical device, or any other personal injury.